1. Click the Create Portfolio + button located below the profile on the right hand side of the application. 2. 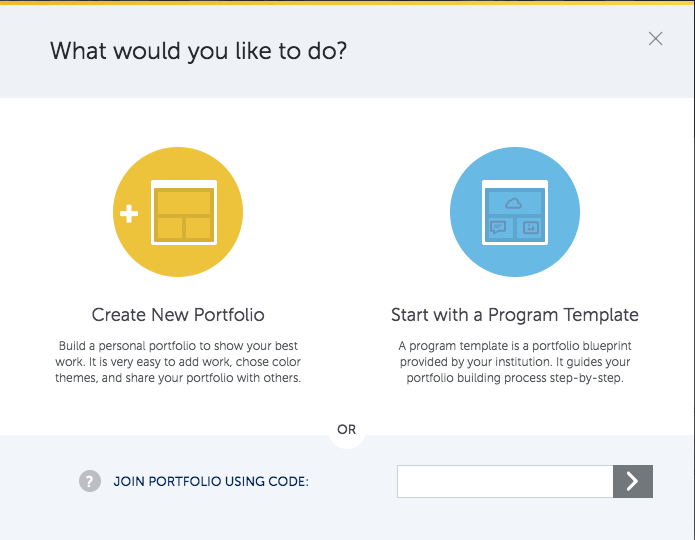 Select whether to create a new Personal Portfolio or if your institution has created a guided program portfolio, you can either search through a list of guided portfolios or enter in a portfolio join code provided to you. 3. 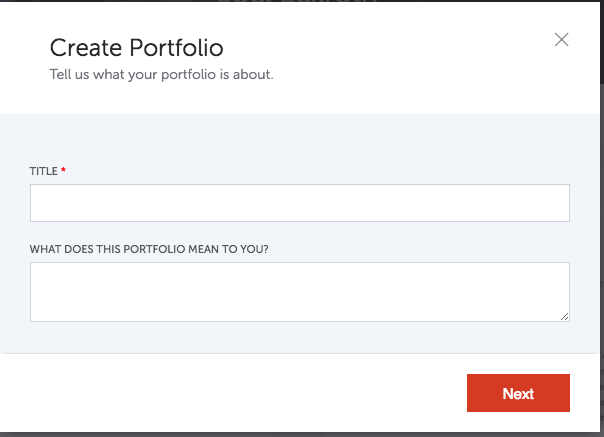 If creating a new Personal Portfolio, give the portfolio a title and description and click Next. 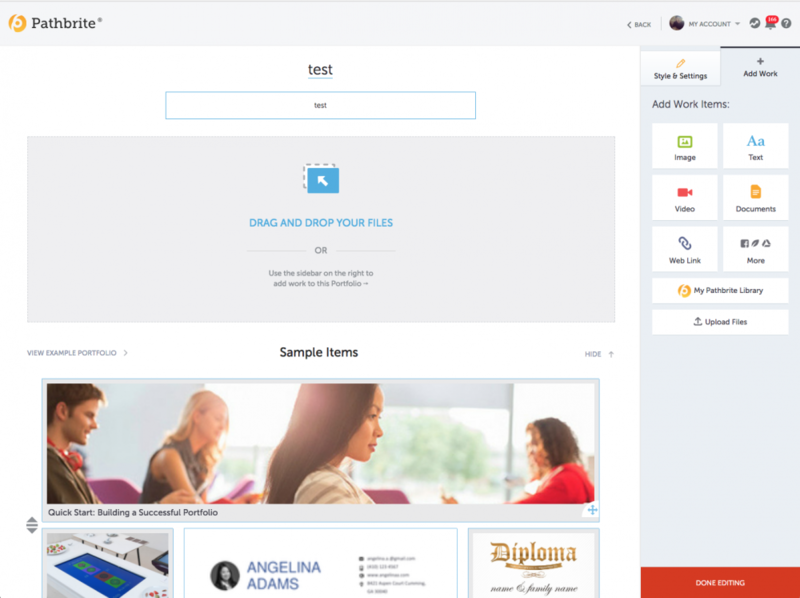 *Link to full list of Pathbrite’s file types.